"Watch and Watchbuys are FANTASTIC." 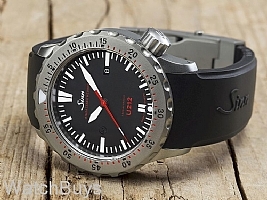 Verified Owner Comments: I ordered my Sinn U212 EZM 16 yesterday morning around 10 AM. I received it this morning around 10 AM. Watchbuys was fantastic. Customer service is second to none. The Sinn U212, I love it. It exceeded my expectations. Fit and finish is fantastic. Both highly recommended. 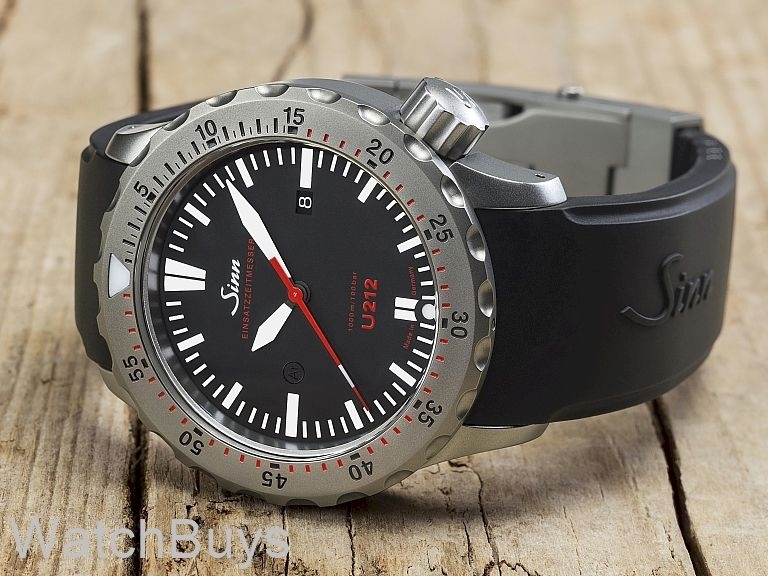 "Highly Recommend the Sinn U212 EZM 16!" Verified Owner Comments: First, let me say I am a repeat customer - and a very happy one at that. I think this is as important as my thoughts on my recent purchase. All my questions prior to purchase were answered immediately and in great detail. Watchbuys provides outstanding service! The watch - overall, amazing. While this is not my first Sinn, it was the first in the larger case size. That said, it fit great on my 7.5 wrist. Accuracy is spot-on and the feel of the watch is solid. I'm by no means a watch expert - I simply 'wear what I like' and Sinn is my favorite - not only for looks but knowing I can wear this watch in whatever condition I see fit - plus it looks great on the bracelet if I want to 'dress it up' a bit. At any rate - I highly recommend the Sinn U212 EZM 16 to anyone's collection but I firmly stand behind my experience as a customer of Watchbuys. These folks are great!! Verified Owner Comments: I have owned several Sinn''s over the past few years and while all of them have been remarkable in terms of quality of craftmanship and duribility, I must say that this latest model is the very best. I am a dive watch fanatic and certainly appreciate a solid piece like this one. This model includes all of the parts of Sinn that I appreciated. It has the clean and solid look in the case of the U1 with the precise but clean hands of the U2 with the ultimate durability of the UX. I was a bit reluctant to have a 47mm size but my concerns were completely unwarranted once I saw this watch and more to the point put it on my wrist. While the size is impressive it is not over bearing or uncomfortable on the wrist. It blends in nicely with a businss casual attire or certainly jeans and a t shirt. I constantly find myself staring at this one on the wrist and appreciate the look more and more each day. Wonderful job again Sinn and wonderful customer service and speed by Watch Buys! !